Make your event unforgettable, book Sue Perkins to perform at your event – we are a booking agent for Sue Perkins, and can arrange for her to entertain your guests. Writer, presenter and broadcaster, the hugely talented Sue Perkins has been a firm favourite on British television for nearly fifteen years. In recent years Sue has developed a name for herself as a bit of a foodie and has worked on a number of food related programmes aside from those she has made with Giles Coren. These include The Big Food Fight and four series of The Great British Bake Off, which saw her reunited with her double-act partner Mel Giedroyc. 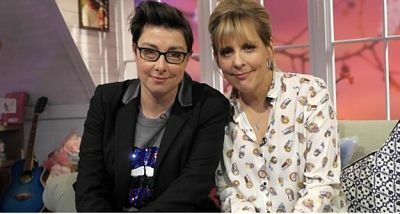 Together with her presenting partner, Mel Giedroyc, Sue Perkins entertained the nation with her unique brand of wit on the popular Light Lunch which ran for five series before transferring to an evening slot with the imaginatively titled, Late Lunch. Together they jumped and shouted their way through countless hours of television, marking the start of a double act that has lasted for seventeen years. Over the years, Sue Perkins has worked on a wide range of solo projects, including documentaries on art, popular fiction and history. In 2008 she appeared on the BBC show Maestro, which she won, culminating in her conducting at The Last Night of the Proms. Sue Perkins has also collaborated with the food critic, Giles Coren on a number of programmes including The Supersizers series, where they got to experience food from a variety of historical periods, including sow’s udder pate, Bovine Bread and Butter Pudding, Duck Tongues and several thousand bottles of wine. Other projects with Giles have included Giles and Sue Live The Good Life and Giles and Sue’s Royal Weddings. 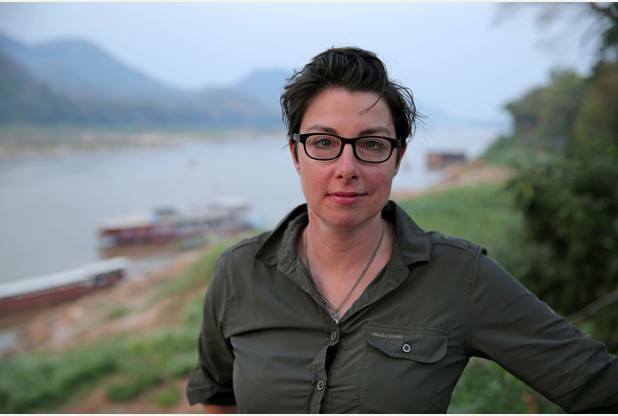 2011 saw Sue Perkins embracing adventure as she was flown off to Alaska with Charley Boorman to film an episode of World’s Most Dangerous Roads. The show followed Charley and Sue as they made their way alone, along the Dalton Highway, in Alaska. Closer to home, Sue also co-presented All Roads Lead Home where she learnt important tips of natural navigation alongside Stephen Mangan and Alison Steadman and explored her much loved home of Cornwall. Sue has appeared on numerous panel shows including QI, Have I Got News For You and Argumental on TV and The News Quiz and Just a Minute on Radio. She has also contributed regularly to News Night Review and The Culture Show. 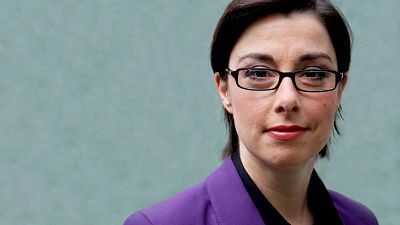 As well as radio and TV Sue Perkins also contributes to various columns in magazines, most recently with a regular feature in BBC Homes & Antiques and Waitrose Weekend magazines. Recently Sue has been concentrating on some of her own development projects, namely new Radio 4 panel show Dilemma, which sees Sue posing a series of moral and ethical dilemmas to a panel of comics, journalists and other great thinkers of our time. At the end of 2011 Sue Perkins worked on a TV project as a co-production between her own production company, Square Peg TV, and Northern Upstart, which traces the story of the real Von Trapp family – it was broadcast as Climbed Every Mountain at Christmas 2012. 2012 was a great year for Sue Perkins with her sitcom being commissioned for BBC 2 as a co-production with Square Peg TV and Red Productions. She also travelled to Vietnam and Thailand for a second series of World’s Most Dangerous Roads, this time with Liza Tarbuck as her driving partner. In August the much anticipated third series The Great British Bake Off was broadcast on BBC 2, with a fourth series airing in 2013. 2013 also saw the premiere of Sue Perkins’ own sitcom, Heading Out, of which she is the writer, star & producer. Sue plays Sara – a veterinarian so skilled, she can spay a tortoise one-handed. She’s successful, she’s popular, but there’s just one chink in her armour – she’s too scared to tell her parents she’s gay. It premiered on BBC2 in February 2013. Sue Perkins is available to hire for comedy routines and makes an excellent awards host or event presenter. Contraband is the UK’s top booking agent, with affable, experienced account managers who guarantee you the best deal possible. Contact us today if you would like to book Sue Perkins to be the headline of your event! We as your booking agent are more than happy to help you create the most memorable moments with Sue Perkins.